After teasing both the Mi A2 and A2 Lite smartphones for a while now, Xiaomi made them official earlier today. 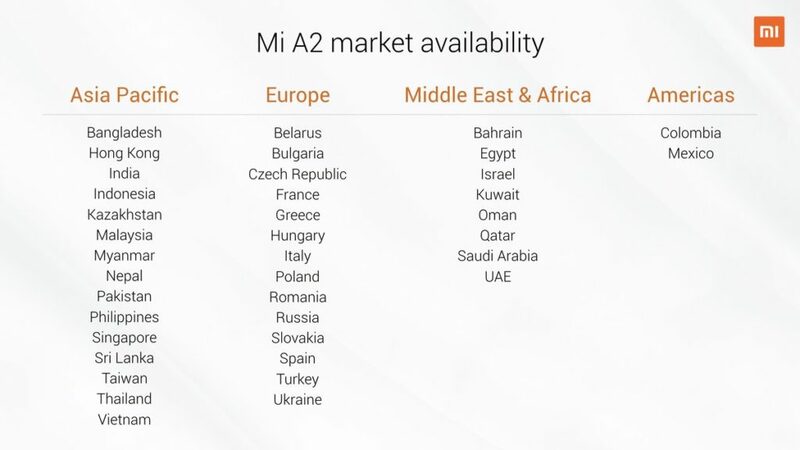 Xiaomi announced that both the devices would be soon made available across 40 markets globally and of course, India is one amongst them. Xiaomi has now confirmed that the Mi A2 mid-range smartphone is coming to India on August 8, but the smaller Mi A2 Lite may never reach Indian shores. Xiaomi released a couple of images revealing the markets which the devices will make into and guess what, the Xiaomi Mi A2 Lite will not be launched in India, going by the images. It makes sense for Xiaomi to skip the Mi A2 Lite’s launch in India, but most of the customers will be disappointed with this move because we don’t have many stock Android phones around Rs 10,000 or say Rs 12,000. The newly launched Nokia 3.1 is an option for stock Android lovers, but the specifications of the phone are mediocre. The Mi A2 Lite is the same Redmi 6 Pro smartphone which Xiaomi launched in China late last month. The Redmi 6 Pro is the same Redmi Y2 (Redmi S2 in China) smartphone with a notched Full HD+ display, metal build and a bigger battery. Xiaomi already launched the Redmi Y2 at Rs 9,999 for the base variant with 3GB of RAM and 32GB of internal storage. If Xiaomi launches the Mi A2 Lite in India, then the phone might retail at a starting price of Rs 11,999 for the base variant with 3GB of RAM and 32GB of internal storage. Because the Mi A2 Lite comes with stock Android, bigger battery, Full HD+ screen and metal body. At that price, the Mi A2 Lite would still be an excellent smartphone, but at the same time, it could be an overpriced phone from Xiaomi. Consumers are already disappointed with the Redmi Y2’s pricing in India. Everyone was expecting the Rs 8,999 price tag for the base variant of Redmi Y2 and Rs 10,999 price tag for the premium variant, but Xiaomi surprised by launching them at Rs 9,999 and Rs 12,999 respectively, which could be due to the camera hardware it packs. Also, one more aspect is the Snapdragon 625 chipset. If Xiaomi launches the Mi A2 Lite in India, it will be the brand’s sixth smartphone with the same two-year-old chipset, after the likes of Redmi Note 4, Mi Max 2, Mi A1, Redmi Note 5 and the Redmi Y2. 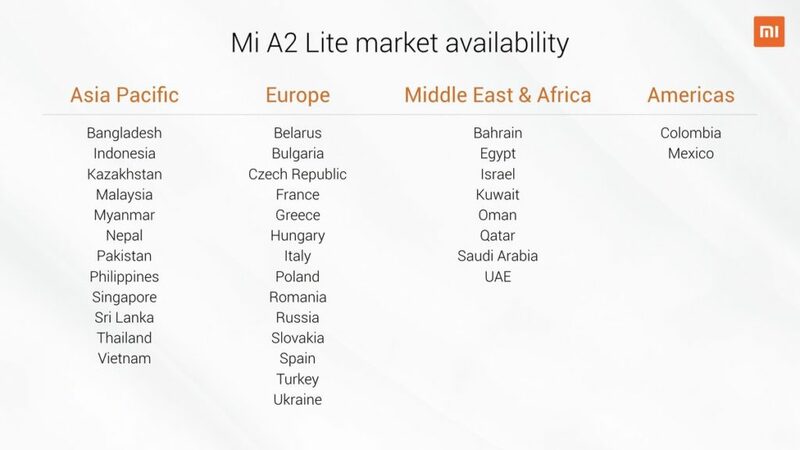 Xiaomi is yet to confirm that it’s not going to launch the Mi A2 Lite in India. So, we’ll get this post updated when Xiaomi posts an update regarding the same.